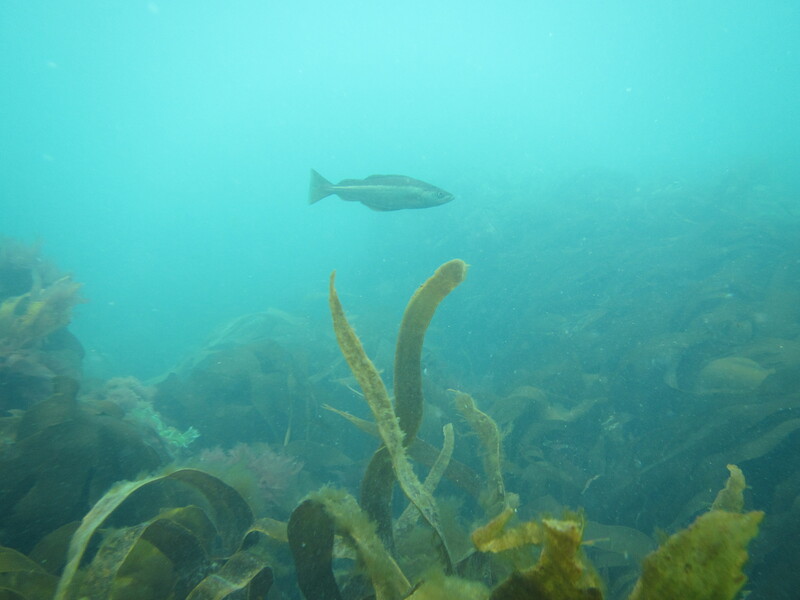 Last Wednesday I went for a quick dive at Silver Steps in Falmouth, good viz and the water is no longer cold. Buddy Chris (above) and I rummaged around the U-boat wreckage (less impressive than it sounds) and unfortunately did not see any cuttlefish. What was new was a largish Topknot Zeugopterus punctatus which was gone before I could take a decent photo. I also saw seacucumbers for the first time diving (have seen them before when rock pooling, including parasitic snails). They could be Pawsonia or Aslia, but with the bodies wedged in the rocks and only the feeding tentacles visible it is not possible to tell. Sand eels were abundant and Sand smelt Atherina presbyter were also present at the surface. I hope to go back soon to practice with the strobe. I did a second dive in Flushing with Thomas too. Enjoyable but not too many great shots. I included one of Sand mason worms Lanice conchilega and fan worms Megalomma vesiculosum. OK, as I mentioned in the last post, I had been on three dives before my exceptional viz snorkel session but did not have the opportunity to post pictures. So here goes for the first dive at Swanpool with Thomas Daguerre. Swanpool is a nice little beach but I was sceptical about it, as it is mainly, well, beach. Thomas wanted to try to find some sand-dwelling creatures though and I was up for trying something new so in we went. See him at work below in some seriously murky water! Again, spider crabs were common, sitting still but running away when getting closer, stirring up the sand. There is some sparse seagrass, arranged in thickets parallel to the strandline, some Sand mason worms Lanice conchilega can be seen in the foreground. A Spiny starfish Marthasterias glacialis was eating up a Pod razor shell Ensis siliqua. A little swimming crab hid in the sand, not sure which species. 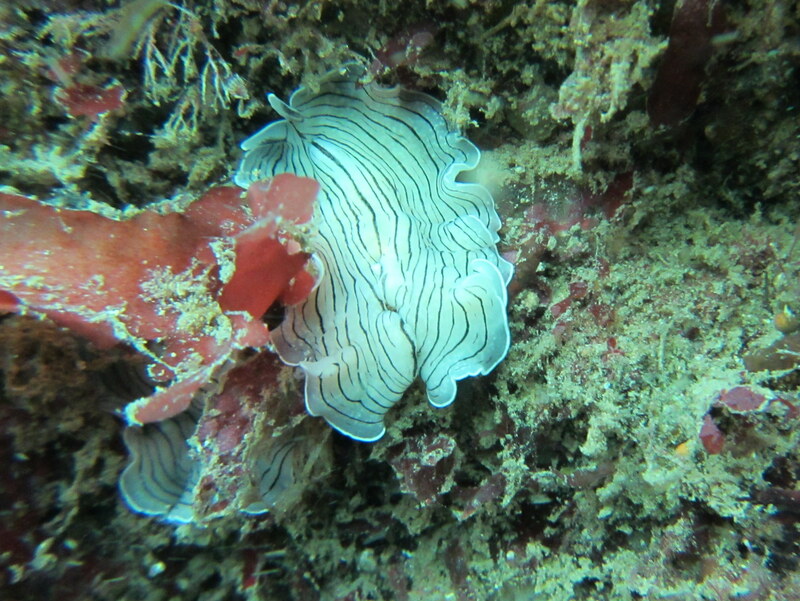 Also, jelly season has started, I saw several Northern Comb Jellies Beroe cucumis. They are exquisitely beautiful and very hard to focus on, which makes for a photographers nightmare. Apart from a Compass jellyfish, I noticed a Blue jellyfish Cyanea lamarcki. It appears to have two parasites, which could be the amphipod Hyperia galba. All in all not a bad dive. Also, I found a frisbee and a decent pair of sunglasses! Finally, time for a (solo)dive last Saturday, at probably the most accessible local site: Silver Steps in Falmouth (you can just make out the steps in the photo above). The sun and high tide had attracted quite a lot of other divers too, including University of Exeter and Falmouth University students learning the ropes. I was very keen to get in the water and take photos but my approach is probably not the best: I just shoot whatever happens to be in front of me. 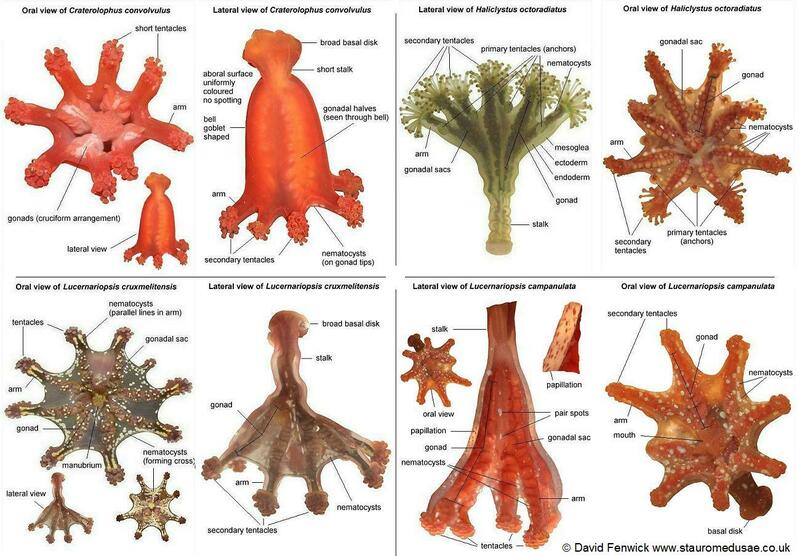 Better results could be obtained to specifically look for macro subjects, to stay in the water column and search for jellies, befriend the Ballan wrasse or stay put in front of a Leopard-spotted goby hide-out (or check out seaweeds of course). I’ll do one of these things next time, for now, some random shots. I spotted several Spider crabs; these are always shy and try to quickly retreat, except for one. This big crab came after me as soon as we spotted each other. I should have tried more shots, as unfortunately he did not fit the frame. You can see in the short movie why I didn’t! The viz was not great (I find it hard to estimate it in meters though). In the water I noticed a small hydrozoan Leuckartia octona. The underside of some wreckage harboured Light bulb sea squirts (see previous post) and some were predated on by Candy striped flatworm Prostheceraeus vittatus. (I brought my new LED light with me to help bring some colour out but I just ended up with combinations of glare and shadows so stuck to my normal natural light pics.) 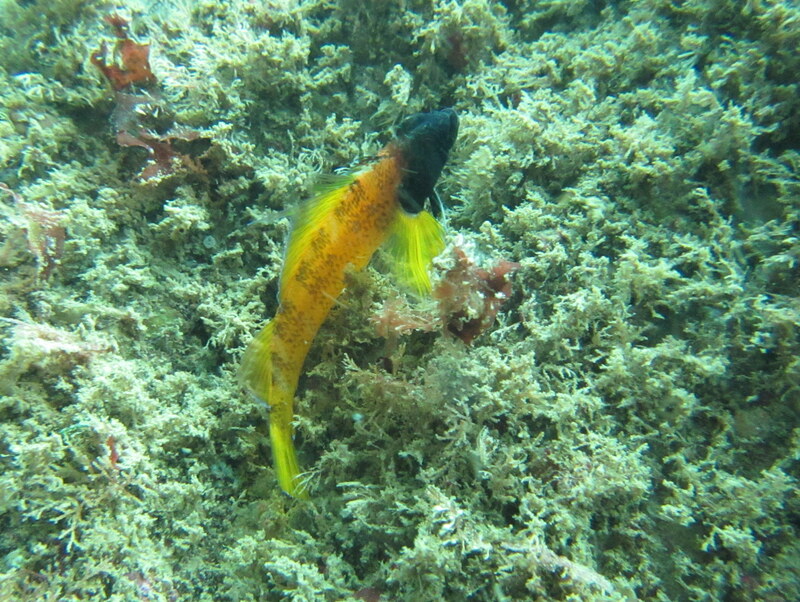 Next, a curious Ballan wrasse Labrus bergylta. Finally, some not so clear shots that nevertheless give a good impression of how tall the invasive Wireweed Sargassum muticum are growing. Hopefully more dive posts soon! The weather has been generally awful so far this year and so I have not been out much. However it is March already so at least a small blog post is in order! There are loads of Worm pipefish Nerophis lumbriciformis around, some of the males carrying eggs (see also the blog header and the ‘about’ section). I found my smallest one yet. Next up a Sea urchin Psammechinus miliaris with what is probably the parasitic (or commensal?) polychaete worm Flabelligera affinis (thanks David Fenwick). After that, a slighlty out of focus shot of the hydroid Candelabrum cocksii. A few of these small individuals were sat under the first rock I turned over; I reckoned they were some type of spoon worm but they are something very different, thanks again David Fenwick, see for his much better photographs of this weird little thing here. Next the Wrinkled rock borer Hiatella arctica with siphon extended and the pretty acorn barnacle Balanus perforatus. Finally a picture of the Strawberry anemone Actinia fragacea, quite common and pretty, but I do not think I have ever posted a picture of it on the blog before. (All pics taken at Castle Beach in Falmouth btw.) I have three in my tank and it is high time for an aquarium update as well. I hope to go out tomorrow and the weekend as the tides are very low so watch this space!